Digital transformation. We’ve probably all heard the term by now. For some, it conjures up images of expensive, shiny new technology. For others, a complete overhaul of their business processes from top to bottom. For those reasons, it can seem daunting, but it needn’t be. Digital transformation is about improving processes and productivity and can involve shiny new technology, but it doesn’t have to be expensive or time-consuming. It’s all about what works best for your business. While those expensive, ripping the office apart misconceptions still exist, business leaders’ understanding of digital transformation is improving, and it’s becoming a real business priority. A recent YouGov poll showed that 48% of IT leaders believe UK businesses will be digitally transformed within the next 3 to 10 years. New businesses are being founded with tech at their heart and a shift in corporate priorities has emerged; digital transformation is happening now. A better understanding of the benefits of digital transformation is undoubtedly a positive, but many are still reluctant to take the first step. For some, technology is advancing at such a pace that you may not have been able to keep up. Contrary to popular belief, it’s not your budget or the size of your business that’s holding you back from reaping the benefits of digital transformation. It’s your mindset. No business is too small, too busy or too restricted to look at digital transformation. In this blog, we’re busting some of the top myths associated with beginning your digital transformation journey. A process that has been embedded into your business for years will probably be second-nature to those who deal with it. And with processes like that come the notion that they simply can’t be improved upon, because if they could, they should have been already, surely? That’s the exact mindset that can prevent these clunky processes from getting a much-needed makeover. From streamlining the way your field engineers assign, carry out and report on jobs to digitising employee onboarding processes, chances are your process can be improved by technology in some way. Despite the scaremongering, robots aren’t taking over all of our jobs; in fact, strategic, creative and critical thinking skills are becoming more integral because they simply can’t be replicated in machinery. This doesn’t mean there isn’t a place for technology, however; by automating manual processes, you can free up your colleagues to put their most valuable asset, their free-thinking ability, to work. Most processes can be enhanced or even replaced by automating time-consuming tasks, freeing up more time for your teams to interact with customers and strategise. The fact that you’ve even considered digital transformation means your small business can take its first step, no matter how small. Your awareness means you’ve considered how you could use technology within your business; the issue could be your understanding of the efforts required or the ‘art of the possible’ – considering not only what’s right or what’s best, but what your business can realistically achieve. Transformative technologies are more accessible and affordable than ever, and functionalities that were once restricted to large enterprises are now available at an affordable, subscription-based price point to companies of any size. These solutions have scalability at their heart, which means if you have ambitions to grow your business, they’ll grow with you. Can you think of any businesses that don’t utilise technology in any way? I can’t. No matter what size your business is, technology has become a key player in the evolution of many industries, meaning it’s almost impossible to ignore if you want to grow as a business and gain a competitive edge. Continuing to disregard your company’s IT is an open invitation for your competitors to overtake you and your sector to leave you behind. A common misunderstanding that drives this mindset is that smaller businesses won’t be targeted by hackers because they’ll instead focus on the companies with turnover in the millions or billions. But whilst behemoths like Yahoo and the NHS are hitting the headlines when they fall victim to a cyber-attack, approximately 42% of small businesses identified at least one breach or attack between April 2017 and April 2018, according to DCMS. Addressing IT security issues is an important part of digital transformation and one that no business can afford to disregard. This is a widespread concern. With a shifting marketplace and tightened budgets, investing in innovation might not be on the agenda for many businesses. However, the key element to this shift in the market is digital; businesses are digitising or even putting digital first at a rapid pace, meaning you can’t afford not to. But to make it manageable, small steps towards adapting the way your business works could have you reaping massive benefits in both the short and the long-term. Office 365 is a great example of a small step that will reap huge rewards. 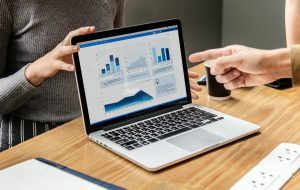 Most businesses use basic Office programmes such as Microsoft Word and Excel, but may not have explored some of the other tools available as part of the productivity suite. By replacing an old version of Office with 365 as a standard upgrade, you’ll have the ability to implement powerful apps such as Teams and Power BI into your everyday work, setting you well on the way to achieving a seamless digital working environment. Or even better, if you already have Office 365, there’s no time like the present to start exploring the possibilities. The fact of the matter is that automation has the potential to eradicate some low-skilled, manual jobs. But it’s essential to note that it’s expected to create almost twice as many jobs as it displaces: 133 million new jobs compared to 75 million replaced. Digital transformation is as much about people as it is technology itself, and people are actually essential to getting the most out of technology. Your tech should support and enable your people, not replace them. Employees at all levels of your business will have processes or tasks that are repetitive and time-consuming, and that’s where you can use technology to better enable them to add value; people won’t say no to making life easier! Collaboration and increased productivity are the way forward, so you can reassure the sceptics that technology is something to be excited about. A negative mindset could be stalling your business’ digital transformation journey. Are you making positive progress, or do you find yourself missing out on opportunities time and time again? What are your competitors doing that you are not? Can you streamline your processes to enable better decision-making and increase efficiency? And, importantly, are you putting this off by making excuses? To fully embrace digital transformation and keep up with other organisations taking the digital-first approach, companies must start challenging their culture. “Why don’t we have a budget to invest in technology?” and “are we prioritising the wrong things?” should be questions at the forefront of discussion. Article produced by UK managed services provider, TSG. Can team-building improve workplace morale? How Can a Poor Working Environment Impact Our Mental Health?